As we’ve previously explained, research in recent years is showing that vitamin D deficiency appears to be a widespread health problem affecting much or most of the population of nations such as the US, UK, Canada, and Australia. It’s likely a global phenomenon, ironically affecting developed nations more severely as their residents spend far less time outside in the sun and tend to use sunscreens to prevent skin cancer. The vitamin D deficiency crisis may be causing elevated rates of depression, autism, cardiovascular disease, type 2 diabetes, and a variety of other chronic health problems in developed nations. Vitamin D3 supplements are now recommended for most people as few get enough vitamin D from diet and sun exposure. Suggestions that adults be taking 2000 IU to 5000 IU per day are now commonplace. Recent recommendations are running up to 10,000 IU per day as a daily adult upper intake limit in some studies. Recommended intake for children is increasing, also, but depends upon the age and size of the child. With vitamin D3 recommended doses growing for both adults and children, it is good to see improved vitamin D3 products such as softgels, gummy vitamins, and liquid vitamin drinks for conveniently getting necessary vitamin D at costs as low as a penny or two per day. Dr. Broda Barnes spent 52 years of his life researching the human thyroid gland and its impact on health. Although he died in 1988, his work lives on through the Broda O. Barnes M.D. Research Foundation as well as books and many in the alternative medicine community who believe he was on the right track regarding a hidden widespread epidemic of low thyroid functioning begin responsible for rising levels of metabolic related health problems. The 40% of the population affected by the rising epidemics of high cholesterol, type 2 diabetes, obesity, and metabolic syndrome interestingly approximate the 40% of the population whom Dr. Barnes suspected have hypothyroidism, the vast majority of whom have never been diagnosed with the condition. Among Dr. Broda’s many writings on thyroid disease and treatment, his book Hypothyroidism: The Unsuspected Illness stands out as popular, relevant, and well-reviewed even decades after its original publication. The book explains how to detect low thyroid function, the adverse health effects it causes, and how to improve thyroid hormone levels to restore health. Daniel Weaver is a father who spent five years of his life fighting CPS and family law courts against false abuse allegations. He was finally exonerated. But the damage to his children and him have made him worried for all children and parents. It is far more common than the public realizes for CPS and police to swoop in and terrorize a family with no evidence or due process. In the process, CPS and the police become child abusers who create extensive psychological damage in children that may take years of therapy to correct, therapy that the government will not pay to provide. 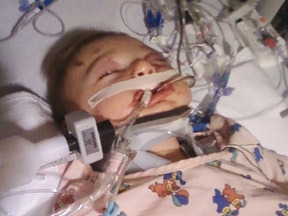 On July 6, 2009, one year old baby girl Noblely Lawson was hit by a car in Charlotte, North Carolina. The driver of the car lost control, claiming that something was in his eye. The car jumped the curb and crossed a sidewalk, slamming into the stroller in which the baby was being walked by her parents, Shane Lawson and Summer Brown. The car struck both her parents, too. Police suspect that the driver, Bhagwan Sawroop Gagrani, hit the accelerator rather than the brake. After ruling out involvement of drugs or alcohol, they haven’t charged him with any crime. Maybe his involvement in these tragic events was accidental, but this doesn’t solve the problems now faced by the Lawson family due to the crash. With the increasing worldwide news coverage of widespread vitamin D deficiency and the high rates of associated diseases such as type 2 diabetes, cardiovascular disease, depression, and autism, you may wonder just how much vitamin D is too much? Many doctors are clueless about vitamin D toxicity and believe that 2000 IU per day of vitamin D3 on a daily basis could be deadly, and 100,000 IU in one dose would surely kill you. Surprising to some, these common beliefs of doctors are grossly mistaken. New research argues for 10,000 IU per day of vitamin D3 on a daily basis for long periods being the upper recommended limit for adult dietary intake and that single doses of 100,000 IU are helpful for rapidly building up levels of vitamin D in the body. Despite more than two decades of repeated investigations by the San Diego County Grand Jury of misconduct by the County of San Diego Child Welfare Services (aka San Diego CPS) agency, the abusive agency and its illegal and harmful actions continue unabated. Safeguards to fix errors and abuses have been perverted into meaningless mechanisms to cover up wrong-doing and insulate the County of San Diego and individual social workers from criminal prosecution and civil litigation. The agency is unrelenting in its refusals to correct its own problems, and continues to run roughshod over the law, civil rights, and best interests of children. The County of San Diego and its derelict Board of Supervisors also avoid taking necessary actions to correct the problems. Vince Guiliano is a prolific writer nearing 80 years old who has assembled a fascinating collection of information on human aging and how to slow it by using dietary supplements. Among his efforts to date are the Anti-Aging Firewalls blog and extensive overviews of the anti-aging properties of many dietary supplements. Here’s a new scientific finding to motivate your kids to brush their teeth and floss. Researchers have found that people who have poor dental hygiene are more likely to have impaired memory and mental functions. Now you can tell your babies that the reason grandpa can’t remember where he put his glasses is because he forgot to brush his teeth. When they question how that can be, you can explain it may be because nasty bacteria in his mouth are making his brain work worse. The next time you hear somebody make a male-bashing comment about how women are always the victims of domestic violence at the hands of men, point out the case of 36-year-old Steve McNair. On July 4, 2009, the NFL football star who formerly played for the Houston Oilers, Baltimore Ravens, and Tennessee Titans teams was allegedly murdered while asleep by his 20-year-old girlfriend/lover Sahel “Jenni” Kazemi by four gunshots, two to the head and two to the chest. It appears Kazemi then turned the gun on herself in direct contact to her head.